This dialog opens with each new Tinderbox session. It indicates the current version, and a few headline changes for that version. 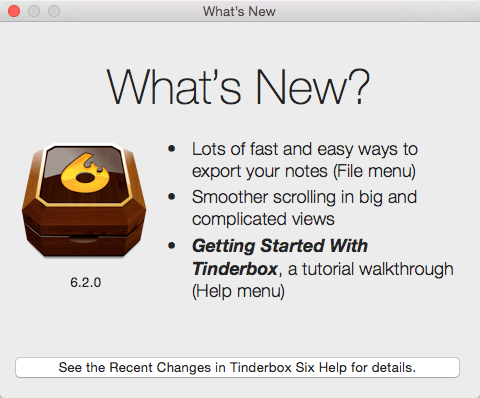 Clicking the button at the bottom opens the Apple Help for Tinderbox.